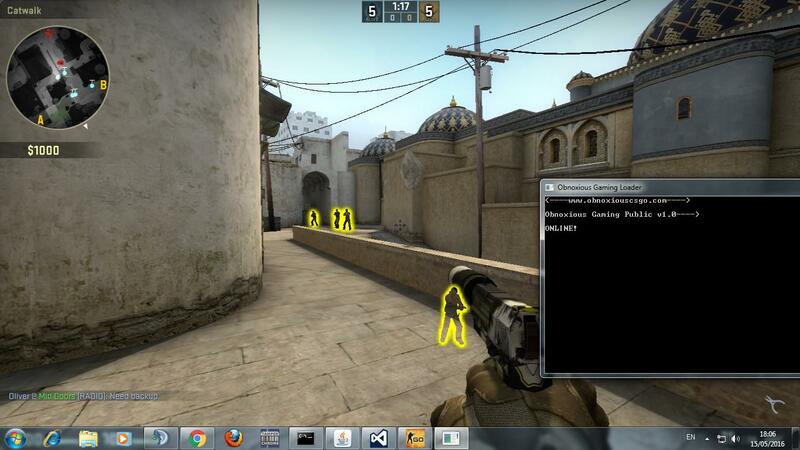 Release - CSGO UNDETECTED GLOW HACK BY OBNOXIOUSCSGO | Gamerzplanet - For All Your Online Gaming Needs! Discussion in 'Counter-Strike/CS:S' started by Anthonnn, May 21, 2016. Obnoxious Gaming Public Simple V1.0 has been officially released. GlowESP Hack ( orange color). *More to be added soon. 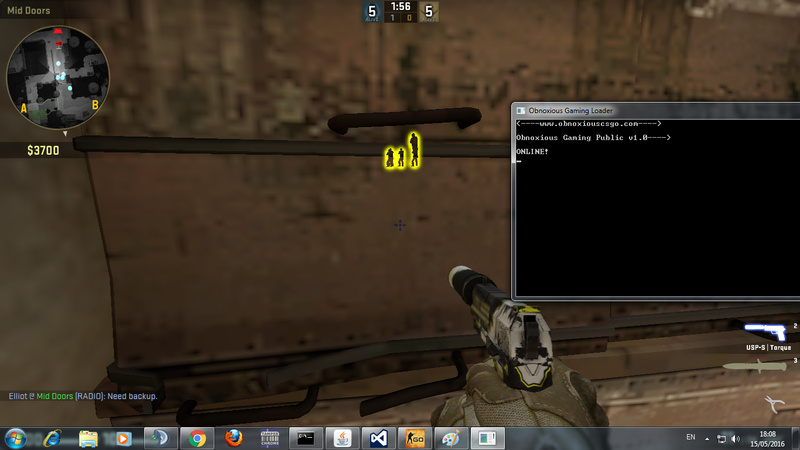 1- Launch Counter Strike:Global Offensive. 2- Go in any game(casual,MM). 3- Press F6 to Turn hack on/off. Access: Limited ( 7 days ). Don't think this works, link doesn't appear valid.